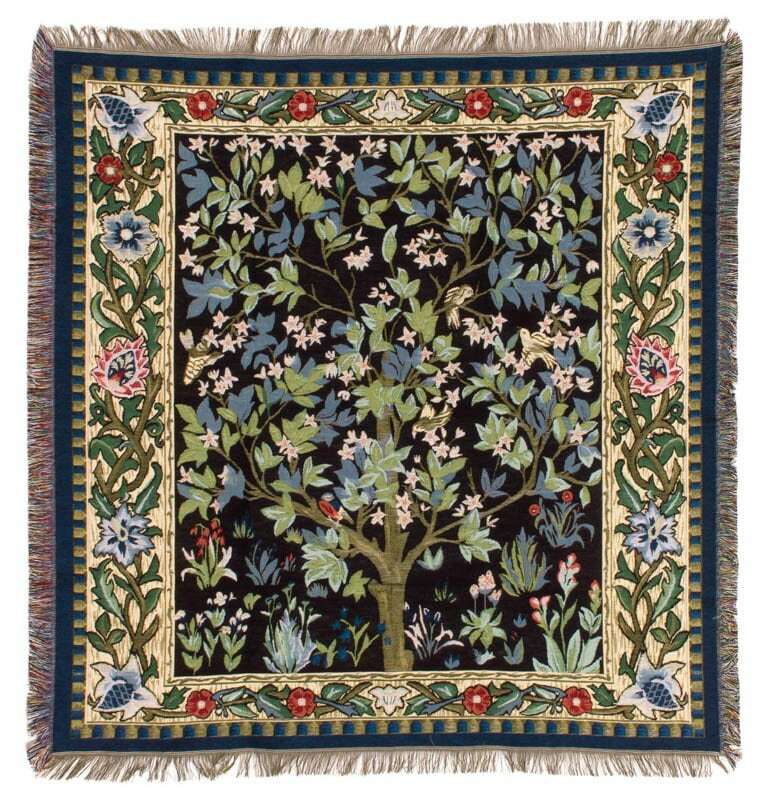 This tapestry throw shows a Tree of Life design by the famous English artist William Morris. Tapestry design is a craft that only a few master. The designer starts from a high resolution image, which he scans and then comepletely reworks it until it is ready for weaving. Averagely, the "cleaning up" of an image takes between 12 and 16 hours. Respect ! Absolutely beautiful and comfortable. It's not as cozy as the other tree of life tapestry made of wool, but it's still wonderful. most beautiful item, and a very good weaving work. I love my tapestry! It is gorgeous! I did contact the seller briefly and they responded very quickly. It was an excellent experience. Thank you! Lovely tapestry throw - thank you!